Mueller Report Fizzles. Prepare For The Reckoning. If that report contained a fraction of the damaging material breathlessly awaited in the media culture for two years, there would be some smoke signal of it. Instead, we saw an actual finding from the Justice Department that there would be no further indictments from the probe. No indictment of Trump. No indictment of anyone associated with the campaign or the administration to support the narrative of Russia collusion. Also, timing is everything. Friday’s close of business is where stories go to die. As the Mueller report seized the news late in the day, TV viewership was a fraction of what it would have been on a Monday morning or a Wednesday midday. The halls of Congress, which would at those times teem with elected representatives, were a ghost town. As such, no parade of Republicans for a mass I-told-you-so, and no Democrats streaming toward the exits to avoid colossal discomfort. But there’s always Monday. Those interviews will still occur. Some will begin over the weekend, which will now be consumed with some pressing questions. What will Democrats say, stripped of the ammo they expected to fire at the Trump White House once the Mueller report came out? Clues arose early. Look for a lot of changing of the subject, a lot of calls to see the full report and a lot of demands for “underlying documents,” in the desperate hope that if Mueller couldn’t find damaging material in the weeds, maybe the New York Times and MSNBC can. To his credit, “Hardball” host Chris Matthews asked a succession of guests what they will say if the noxious evidence of collusion and other malfeasance is nowhere to be found. Anyone is on solid ground to call for restraint until the release of the full report. But it will be interesting to see what does not get released. The tonnage of documents attached to the probe surely contains grand jury testimony and matters of national security that simply will not be available for perusal and cherry-picking. When that becomes clear, look for cries of coverup and speculation that surely an arsenal of smoking guns lies in the pages of files unseen. The other Plan B for Democrats will be the nebulous notion that while the President may not be indictable, he is surely “compromised” by a sinister foreign rival. Look for plenty of file footage of Trump in the smiling proximity of Vladimir Putin, with accompanying ominous commentary that we may never know what these men were plotting. Here’s what we do know: if the Mueller spectacle is as anticlimactic as it first appears, there must be accountability for the politicians and media voices who beat this drum with malicious certainty for two years. Lives have been ruined. Millions of dollars have been wasted. All because a culture stretching from the halls of government to the studios of TV networks sought to erase a 2016 election result they could not tolerate. It is hard to know what the future holds for the reputation of Robert Mueller. The left may now turn on him for starving them of the partisan oxygen they craved for the coming wars. I don’t see that happening in large measure, nor do I expect appreciation sent his way from conservatives, despite the relief that always accompanies the end of a nightmare. This probe was launched on a shaky basis from the start, poisoned in practice by a trail of evidence that it was populated with some measure of politically motivated hacks. It is good if this amounts to nothing, but if a witch hunt fails to find a witch, that does not mean the search was honorable. And by the way: Trump’s challenges are not over. 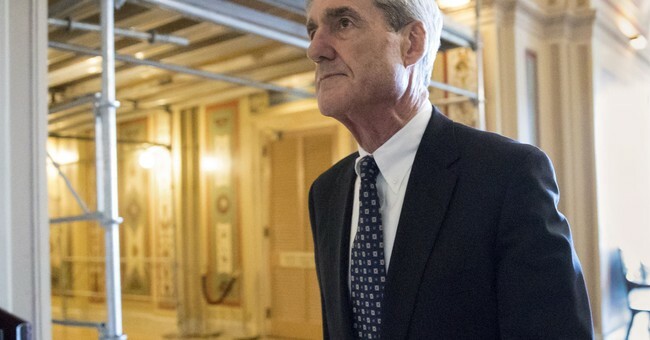 He may enjoy a brief season of satisfaction that the Mueller probe looks very much like the hoax he has invoked, but while the special counsel will pack up and go home, a belligerent Democrat-led House of Representatives will not. Look for a year filled with congressional investigations, subpoenas and posturing designed to craft a result the Mueller probe could not—a presidency in tatters. Those efforts may look weak, even silly in view of the collapse of the Mueller gambit, but the effort will be loud and constant. At the same time, perhaps ideas will arise for further inquiry—into the cast of characters from James Comey to Andrew McCabe to James Clapper to Rod Rosenstein to Peter Strzok to Lisa Page to whoever else, to learn more about the people, and the motivations that sent us down this ridiculous road in the first place.